With a dewy, youthful glow being the top of every beauty blogger’s wish list, there’s a constant demand for great skincare and products that will help in your plight for anti-ageing. However, if you lead a busy lifestyle, reside in the city centre, and enjoy late nights out with friends (who doesn’t), it can all take its toll on the condition of your skin. To help avoid premature skin ageing and a dull surface; there are some things you can do to help boost your youthful appearance and keep your skin in great condition. There will always be an array of products on the market that claim to (and sometimes do) help improve your skin's appearance and conceal those common signs of ageing; however, you can make a difference without any expensive trips to the beauty counter. The following are some things to consider if you want to gain your glow back this summer, and how to maintain a youthful appearance. There’s a reason that both health and beauty bang on about getting enough water throughout your day; it’s a fact that drinking plenty of H2O is good for you. Staying well-hydrated helps to ensure that everything on the inside of your body is working swimmingly, which will improve the appearance of your skin. Plenty of water can flush out toxins and sugar, which contribute towards blemishes and regular breakouts, so it’s worth grabbing a bottle of Evian instead of Diet Coke any day of the week. Dehydration can lead to your skin becoming dry and flakey; annoyingly, dry skin can also lead to spots, as the oil and dirt in your skin can’t escape your pores. When your pores build up and aren’t flushed clean; the results are a spotty complexion and an uneven surface to your skin. As well a regularly swigging from your water bottle; there are an array of foods that have been proven to have a positive effect on your complexion. When it comes to your lunch hour, you could be eating your way to fabulous skin (unfortunately, you may have to bypass McDonald’s). It’s probably no surprise that fruits and vegetables that are full of vitamin C and antioxidants should make a regular appearance at meals and snack times. So whether it’s berries or broccoli; get down to your supermarket and stock up on fresh groceries. Selenium, which is found in nuts, eggs, and fish, is said to help prevent skin ageing spots, sun damage, and more importantly, skin cancer (more on sun damage later); so grab a few brazil nuts in your tea break and start being kind to your face. Oils, like olive and avocado, will also be a nutrient-rich addition to your diet; don’t be afraid of the fat content (they’re the good kind) and embrace the anti-aging effects they will bring you. If you were able to see each individual ingredient that goes into some “skincare” products; you might well be shocked and horrified. Don’t worry; there are plenty of ethical and mindful beauty brands out there that only use top notch ingredients, to be gentle and nourishing to your face and body. You can get some information from soundbodylife.com and discover some of the best organic beauty brands on the market. Try to be mindful when you’re slathering a cream or cosmetics onto your skin; read the packaging to see if it contains anything that will age or damage your appearance in the long run. If you’re unsure of what ingredients should be avoided, take a look at the list from huffpost.com for more information. Once you’re clued up on what to avoid, you can start looking into what beauty brands exceed skin care guidelines and only mix together concoctions that will benefit your youthful glow (you’ve just had permission to go forth and shop for cosmetics, you’re welcome). At the risk of sounding like your mum; have you put your SPF on, are you wearing a hat and sunglasses, and are you spending enough time in the shade? If you’ve answered no to any of the previous questions, then it’s time to make a change to your usual summer routine. 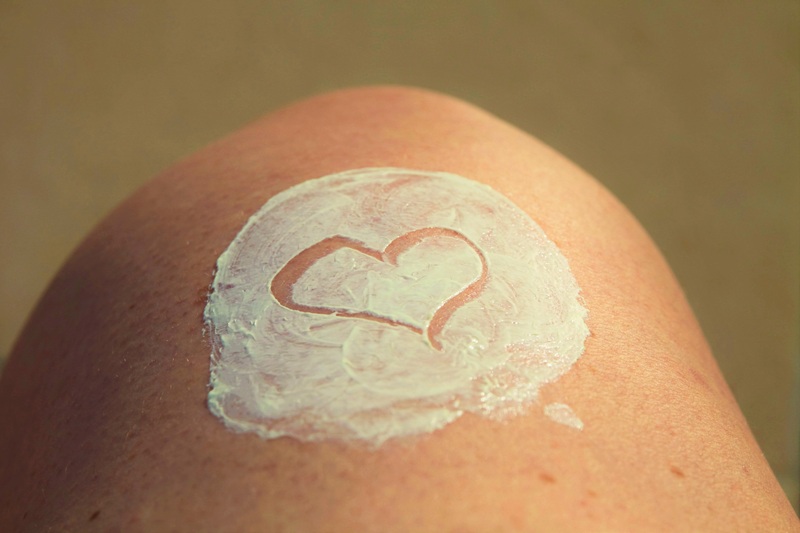 The sun can be amazing for lifting your mood, the ability to eat al fresco, and providing you with plenty of vitamin D; however, sun damage will contribute to the ageing process of your skin. Don’t panic; you can still get that summer feeling with the use of a quality fake tan; but, if you want to stop or slow down skin ageing, you’ll need to cut down on the time you spend sunbathing, and sunbeds are a big no. Just no. If you pay to use the sunbed, you are investing in fine lines, wrinkles and age spots, so don’t do it. You can also buy an array of makeup, like BB and CC creams, tinted moisturisers, and foundations, that already have an SPF in them; so you don’t have to worry about buying a separate product for your face. By all means; get outside as much as possible on those rare sunny days, but be savvy about it and protect your skin. Studies have shown that a bad night’s sleep, stress, and fatigue will all contribute to your skin’s ageing process. Taking regular time to unwind and relax, and getting a decent amount of sleep during the week, will help you to ensure that you don’t wake up with way more wrinkles than when you got under the sheets. You can check out how a bad night’s sleep wrecks your skin here: http://www.telegraph.co.uk/goodlife/11618809/How-a-bad-nights-sleep-wrecks-your-skin.html and learn some tips from model Jodie Kidd, on how to get a great night’s sleep instead. The main thing when it comes to looking after your skin and its appearance is to be kind to it (and you). You have control over what you consume, what you put on your skin, and most of the time, the stress your skin experiences. Therefore, by becoming more mindful in each of these areas will lead to lifestyle changes that will ensure you’re glowing from the inside out and look younger in the future.